We live in San Mateo County, particularly the coastal towns of Half Moon Bay, El Granada, Moss Beach and Montara. Local towns include Pescadero to the south and Pacifica to the north. Many of us live here because the ocean is an enjoyable part of our landscape. This beloved environment here is beginning to change. Up until the last year or two, most out of area buyers asked about earthquakes. Now they are also asking about tsunamis and sea level rise. 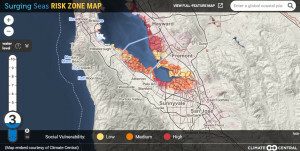 San Mateo County has initiated a Sea Level Rise Vulnerability Assessment. According to the website, the Assessment is part of a long-term resilience strategy to ensure our communities, ecosystems, and economy are prepared for climate change. The effort is funded by the California State Coastal Conservancy and conducted through collaborative efforts. An inventory of key assets throughout the County at risk from multiple scenarios of sea level rise and storm events. 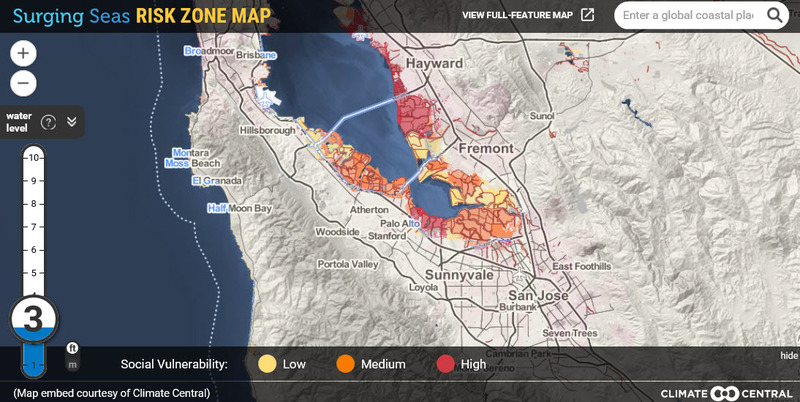 An understanding of the types of sea level rise and storm related impacts that San Mateo County will experience. A road map for taking actions to increase resiliency that includes initial recommended adaptation measures and improved flood and sea level rise mapping and data. A collaborative network through which to plan future efforts. If you are interested in learning more about how this topic relates to our Coastside shores, there will be a 3-mile walk to explore some of the local history, science, ecology, and offer a glimpse of how sea level rise will impact our coastline, Join Christina Conklin and King Tides Project Co-Founder Marina Psaros. This Saturday, June 25, 2016 from 9:30 AM to 12:30 PM.